He was the captain of IU’s only Rose Bowl team, in the 1967 season, and then played on Miami’s undefeated Super Bowl championship team in 1972. That alone makes for a great career in football. 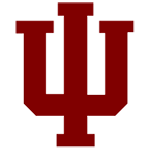 Crusan came to IU from Pennsylvania, where he grew up in a blue collar household. IU was lucky to get him, but he was lucky that John Pont took over as coach after his freshman season. That enabled him to play on the miracle Rose Bowl team as a senior. He was moved from the offensive line to the defensive line that season, for the good of the team, and didn’t complain. He was a captain, after all, and took that role seriously. He was a first-round draft pick as an offensive lineman, and lasted seven seasons with the Dolphins at left tackle. He was a vital part of the line that allowed the likes of Larry Csonka, Jim Kiick and Mercury Morris to prosper. An injury cut short his career, but he thrived in the business world. He’s retired today, but remains close to IU’s program and speaks on its behalf occasionally at alumni gatherings. You’ll understand why when you listen to this studio conversation.